Great prices on quality Horse Pleasure Bit, horse supplies and many great equine products at Horse Tack Now. 100% satisfaction guaranteed. This California Pleasure Bit comes with a copper inlay and sweet iron mouth. The copper inlay in this horse pleasure bit increases salivation in the horses mouth. Treat your horse with this comfortable horse bit and go for a ride today. 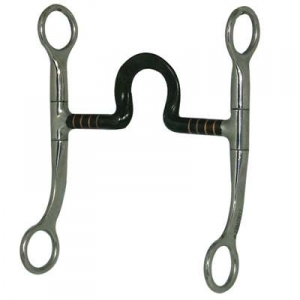 These horse pleasure bits are in stock and ready to be shipped here at Horse Tack Now.